Hurricane Joaquin forecast compared with Sandy; Virginia state of emergency. Hurricane Joaquin Is Now a Category 3. But Will It Be As Bad As Sandy? 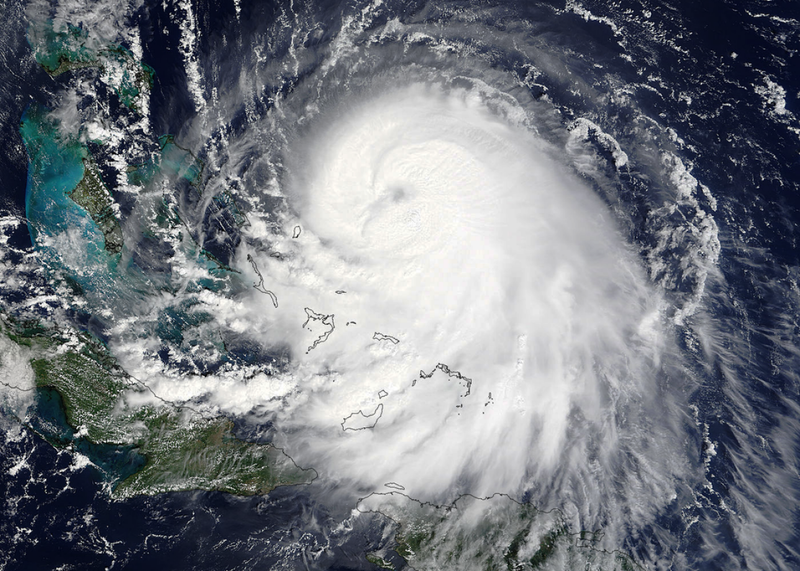 Hurricane Joaquin loomed ominously near the Bahamas on Wednesday, on its way toward a potential landfall in the United States this weekend. Update, 11 p.m.: The National Hurricane Center upgraded Hurricane Joaquin to Category 3 late Wednesday evening, saying the storm had “rapidly intensified” during the afternoon hours. The latest official forecast now shows Joaquin reaching Category 4 status on Thursday near the Bahamas—with the NHC mentioning that no significant limiting factors exist to cap its intensification. The burst of strength has come two days ahead of what previous official forecasts had predicted, and faster than even the most aggressive weather models had shown. The sudden increase in strength poses an immediate safety issue in the Bahamas where Joaquin is expected to remain nearly stationary for most of the next two days. Ultimately, however, the surge in intensity may not drastically affect Joaquin’s track toward the United States, where a possible landfall may produce substantial impacts this weekend. Update, 10:30 p.m.: On its first pass through the center of Hurricane Joaquin on Wednesday night, a Hurricane Hunter aircraft measured winds consistent with a high-end Category 2 hurricane—unexpectedly robust evidence that the storm continues to rapidly strengthen. As of Wednesday afternoon, the National Hurricane Center’s official forecast track for Hurricane Joaquin shifted further south toward the mid-Atlantic, prompting Virginia’s governor to declare a state of emergency. As millions wait for updates, Joaquin’s ominous outlook and difficult forecast is drawing to mind comparisons with the last really bad East Coast hurricane: Sandy. Earlier on Wednesday, the official forecast track from NHC had indicated the storm could make landfall in New Jersey—which is still a possibility. The New Jersey office of the National Weather Service office quickly advised people on the New Jersey shore to prepare, if that happens, for “record coastal flooding.” As you’ll likely remember, the flooding there during Hurricane Sandy was disastrous. Still, Joaquin is no Sandy. Other than their tracks, and in Joaquin’s case, I’m talking about the forecast, of course—which both include hard left turns into the coastline—the storms are vastly different. For one thing, Sandy was the largest Atlantic hurricane on record, and was therefore able to funnel water toward a large section of the East Coast—especially the New York City area—despite having relatively low winds at the moment of landfall. Joaquin, on the other hand, won’t be nearly as big and will remain purely tropical—that is, with a tight inner core circulation that should pack much stronger winds than Sandy—throughout its life cycle. The bad news is that the tight core will help Joaquin focus its energy on a specific section of the coastline—possibly making it a record-breaker in terms of coastal flooding, typically the most dangerous part of a hurricane landfall. One particularly consistent weather model, the HWRF, has showed Hurricane Joaquin targeting the mid-Atlantic with a Sandy-like sharp left hook for two days now. The biggest unknown with Joaquin is which specific section of coastline it will be targeting. My current best guess, as I explained earlier this morning, is North Carolina to New Jersey. Within the current range of possibilities, I’m most worried about a landfall in southern Virginia, which several models seem to be targeting with worrying consistency. And that’s exactly where NHC’s latest forecast sends Joaquin. Next to Miami, the Hampton Roads area—which includes Norfolk and Virginia Beach—is the most vulnerable place in the nation when it comes to sea level rise. There’s been a surge in ocean levels there of more than a foot since 1930, and millions of people—plus several very important military bases—are vulnerable to storm surge from a significant hurricane like Joaquin. Not to mention that, should Joaquin hit southern Virginia from the southeast, its storm surge could be pushed right up the Potomac River toward Washington, D.C.—itself a very worrying proposition. As the Washington Post’s Capital Weather Gang wrote on Wednesday, “It is not out of the question that such a scenario could produce flooding on the scale of some of the greatest storms to ever affect the region, like Agnes in 1972.” The Capital Weather Gang also notes in a separate post that the current weather pattern is notorious for producing hurricane landfalls in the mid-Atlantic. If the above scenario comes to pass—and again, for the moment, it remains a worst-case scenario—Joaquin could ultimately be remembered as a storm with national impact similar, and possibly worse, than Sandy. On Twitter, some meteorologists have argued that given the current level of uncertainty, the National Hurricane Center should balk at offering a specific forecast for Joaquin at all. That won’t happen, but it illustrates just how difficult a meteorologist’s job is right now—which areas to emphasize when the entire East Coast is at risk?